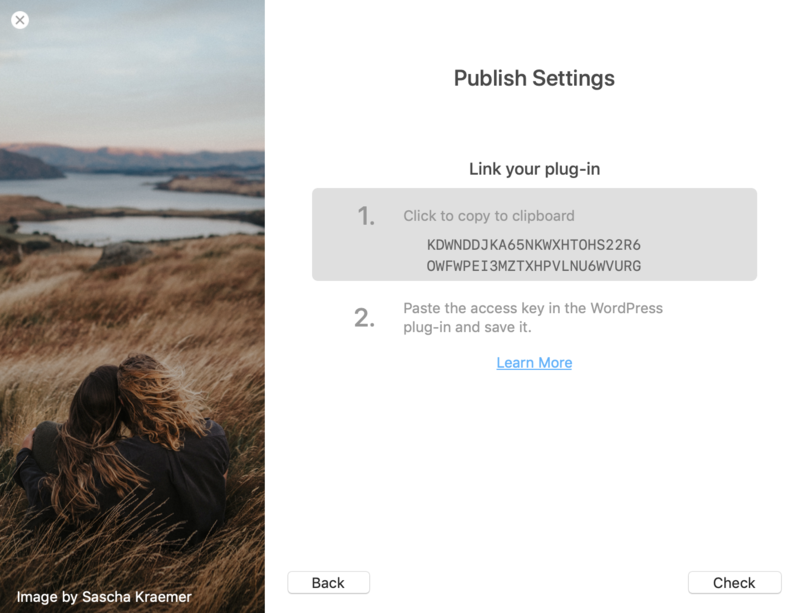 In order to publish your blogs to WordPress you will need to use the Narrative's Publisher Plug-in. This plug-in is the bridge between automatically publishing your posts on WordPress. It is much faster, more secure and shows you a much better representation of what your blog will look like when your website is live. Watch this video here on how to install and use the plug-in. You can also follow this step by step process to learn how to use it. Follow this article until you are up to the install and set up the plug-in. When you have reached this screen open your WordPress and log in. 3. Once you have logged into your Wordpress head over to Plugins > Add new. 4. Search Narrative Publisher or click the link. 5. Click install on the Plug-in and then Activate. 6. 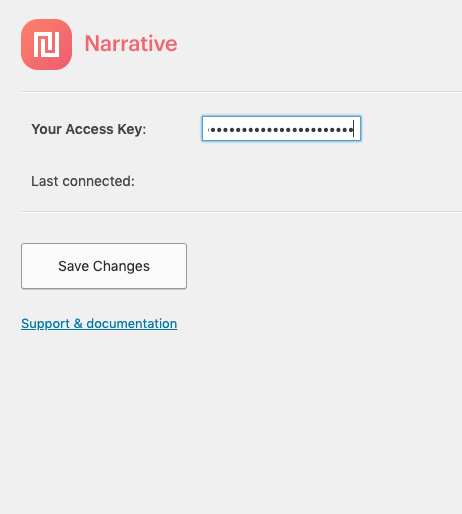 Once the Plug-in has been activated head back to the Narrative App and click "Check" and Narrative will try connect to your Website. You will then be presented with a screen that gives you a key to put into your Narrative Plug-in. 7. Click on the key to copy it. 8. 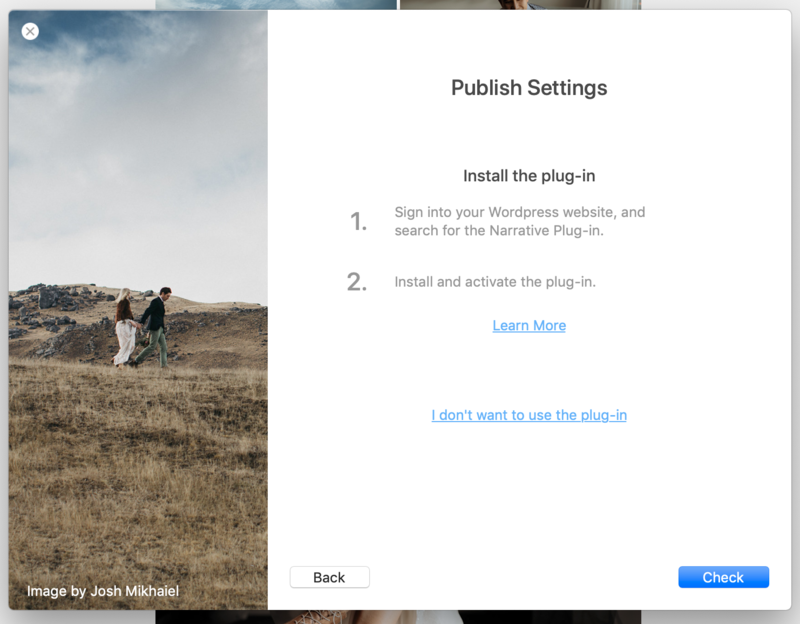 Head back to WordPress and open the Narrative Plug-in in the left hand panel of the WordPress Dashboard. 9. Insert the code you copied from Narrative and click "Save Changes". 10. Head back to Narrative and click "Check". Narrative will then try connect to your website using the key you entered. If you have entered the key correctly you will continue in the publishing process. Click here to learn how to publish. If this pops up with an error message, try to copy the key again and save the changes.